Imagine reading your favorite steamy romance novel... with your mom reading over your shoulder. Ellen and her mom set out to do just that with this book club and they want you to join in. It's fun, it's swoony, and it's awkward. Ellen and Mom talk about the girl (and the boy) in A Girl Like Her by Talia Hibbert. Plus! The new trends in romance covers and what they can mean for the genre. Ellen and Mom melt for Melt For You by JT Geissinger. Plus, our recap of KissCon Weekend Affair in Chicago! Ellen and Mom discuss the texting and shenanigans of Let's Get Textual by Teagan Hunter. Plus, we share YOUR meet-cutes and it is. So. Cute. Ellen and Mom get back to their roots with a historical! We're talking about Lady in Waiting by Marie Tremayne and what times in history we would like to visit. Ellen and Mom get straight up medieval talking about By Possession by Madeline Hunter. Have we found a new favorite era of historical romances? Ellen and Mom talk about the delectable manny Rafe in the book Rafe by Rebeakah Weatherspoon in this mini episode. 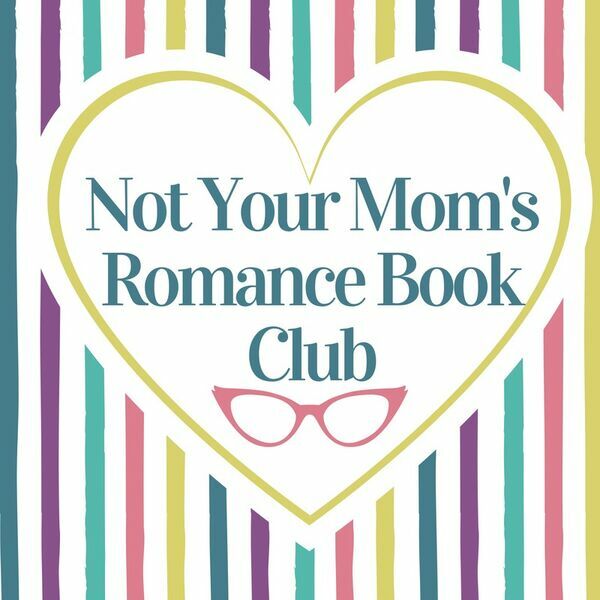 Ellen and Mom discuss their first single-mom romance with Bulldozer by P. Dangelico in this mini-episode! Ellen and Mom go all secret-agent-man talking about Spotless by Camilla Monk in their first mini-episode! Ellen and Mom get swoony talking the delightfully meta Wait With Me by Amy Daws. Plus, our plans for 2019 and defending the romance genre! Ellen and Mom talk the much lauded The Kiss Quotient by Helen Hoang. Did everything add up to a perfect book this time? Plus, we get to know Mom a little better! Ellen and Mom discuss the delightful Indigo by Beverly Jenkins! Plus, our recent brush with greatness on Facebook and diversity in the romance genre. Ellen and Mom talk about the insanity that is the plot of The Countess. Plus, we get positively giddy over the news of a Bridgerton series! Ellen and Mom très romantique talking about Wanderlust by Lauren Blakely (and really enthusiastic about the audiobook). Plus, our own wanderlust fantasies and bucket lists! Are we bittersweet on Bittersweet by Sarina Bowen? Ellen and Mom talk about beards, cider, and grumps. Plus, how important setting is to a romance. Ellen and Mom go back and forth on #Starstruck by Sariah Wilson. Plus, we read some listener mail and get all nostalgic gushing about our childhood celebrity crushes. Ellen and Mom discuss Lisa Kleypas' latest, Hello Stranger, and actually disagree on how much of a success it is. Plus, we break down our Drunk Austen Rom Com Bracket! 18 - Marriage of Inconvenience by Penny Reid / Penny Extravaganza! Ellen and Mom get real when talking about Wilde in Love by Eloisa James. Plus, how do they feel about all the different eras that make up the historical romance genre. Mom and Ellen talk about the slowest of slow burns, The Wall of Winnipeg and Me (but it burns so good!). Plus, they get into that age old romance chestnut of alphas vs. betas. Mom and Ellen can't stop talking about Beard Science in this extra-long episode! Plus, what are some of the main differences between historicals and contemporaries? All content © 2019 Not Your Mom's Romance Book Club.